Women who had babies out of wedlock were also targeted. When Mary Clarkson gave birth to her illegitimate daughter she wasn’t even allowed to go home and pack up her belongings. She was whisked away, and was never to see her baby again. The place Ida Norman, Geoffrey Kay and Mary were taken to was Meanwood Park Mental Deficiency Colony which had opened on the outskirts of Leeds in 1920. The man who took them there was Executive Officer Samuel Wormald, who saw himself at the vanguard of a movement to remove anyone with a disability from society and wrote at the time: “ By being allowed to repeat their type, the feebleminded are increasing the ranks of the degenerate and wastral classes with disastrous consequences to the entire community. 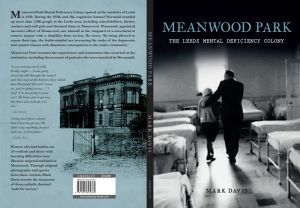 During the 1920s and 30s, eugenicist Samuel Wormald rounded up more than 2,000 people in the Leeds area, school children, factory workers and mill girls found themselves being taken to Meanwood.